Samsung awarded contract to upgrade UK emergency services network, with new mobile devices top of the list. 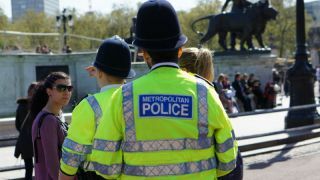 The UK's emergency services are set to benefit from a major upgrade in their communications network. The Home Office has revealed that it has contracted Samsung to supply and upgrade the smartphones and all other accessories used by the police, fire, ambulance and other public safety users across the UK. Under the terms of the deal, Samsung will provide LTE-ready smartphones to all officers, meaning greater reliability and speed when using a mobile device out in the field. The devices will be fully ruggedised, including waterproofing, and come with a range of specialised software designed to help forces carry out critical actions. The new network will replace the current Airwave system, which is mainly limited to voice radio, with an up-to-speed LTE network capable of providing key additional capabilities for frontline staff such as live-streaming video, crime applications and location services. As the older Airwave technology is phased out in stages over the next few years, the Home Office and Cabinet Office also expect substantial savings to the taxpayer. “We are excited to be part of the UK ESN project and awarded the contract to supply LTE smartphones and accessories for ESN in the UK," said Suk-Jea Hahn, executive vice president of Samsung Electronics' global mobile B2B team.